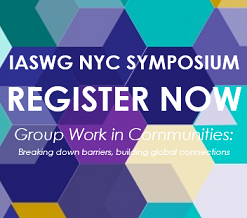 Founded in 1979, the International Association for Social Work with Groups (IASWG) is the premier international association for social workers and allied helping professionals engaged in group work. The purpose of this non-profit, member-driven organization is to promote excellence in group work practice, education, field instruction, research and publication. The goals of this Association are realized through a program of action and advocacy at both the local and international levels. Local chapter events and annual symposia are characterized by warmth and inclusion. Opportunities exist for members to network, collaborate, and share their interests and expertise. This informal network of collaboration is an invaluable resource to the group work community.